The telecommunications watchdog announced its intention to consult on unrestricted access to Openreach’s underground ducts and telegraph poles in July. The incumbent, which maintains the UK’s main broadband network, is already required to let competing providers use its telegraph poles and underground ducts to lay their own fibre cables, although it is currently restricted to companies offering primarily residential broadband services. Under the new proposals, access to Openreach’s ducts and poles could be widened to include companies offering any type of telecoms services, including high-speed lines for large businesses, networks carrying data for mobile operators and high capacity lines supporting broadband services. 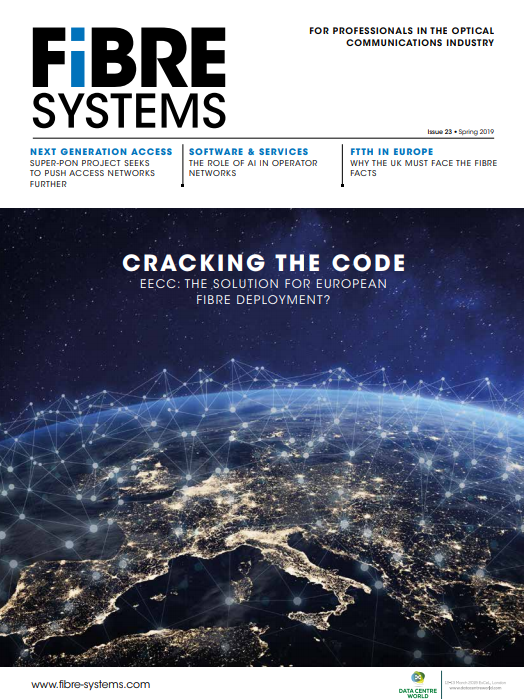 The BCMR looks at ‘leased lines’ – high-speed, high-quality, point-to-point data connections that telecoms providers use for connecting offices, mobile base stations, and broadband access networks. The current regulation in this market expires in March 2019, and Ofcom is refreshing it, before moving to regulating the business and residential markets through a single review from 2021. The regulator had previously considered introducing a temporary restricted dark fibre remedy for the period up to March 2019, but decided against doing so in April of this year (Ofcom decides not to introduce temporary dark fibre remedy) with a view to considering the potential for a dark fibre remedy as part of the BCMR. The consultations will close on 18 January 2019, and Ofcom intends to publish its final conclusions in spring 2019. The watchdog also says that it will consult on how geographic areas should be defined as either competitive, potentially competitive or non-competitive in a single, holistic residential and business market review in 2021.